The 2010 Federal Election has given Independent MP Bob Katter the opportunity to put an important issue into the public domain – suicide. Whilst the majority of discussion surrounds which major party the Independents will side with, Katter has taken the bull by the horns and is the only elected representative in the spotlight willing to mention an issue which many people are reticent to discuss. With Katter constantly being referred to as a ‘loony’ on Twitter, and in comments by readers in various online newspapers, it’s his ability to get the message out at an opportune time that is worthy of credit. Katter has said that one farmer commits suicide every four days in his electorate of Kennedy. The sense of despair felt by those farmers who are taking such drastic action is not to be ignored. These are real working people from real working families who see no future for themselves. They are people who see no reason to live and cast a vote in the future. Mental health has been in the spotlight during 2010, but Australia's political leaders became more concerned with the non-issue of Work Choices and stopping the boats during the election campaign. It will be interesting to see if the leaders from each of the major parties act on what Katter is saying, or simply dismiss him as a ‘loony’. Time will tell if Katter’s comments lead to a paradigm shift. It's with pleasure I recognise the Commonwealth by supporting my new business, Darren Stones Visual Communications. This business is supported by the New Enterprise Incentive Scheme, an Australian Government initiative. On August 5, 2010, I gained approval from the Department of Education, Employment and Workplace Relations for my new business to be operated with their support. As part of the agreement, I'm obliged to run the business in accordance with my NEIS Participant Agreement and my Business Plan. Throughout the first 12 months of the business operating, I'll be mentored by qualified mentors who will assist me to develop my business, financial and marketing skills for my business venture. Recently I completed the Certificate IV in Small Business Management at the Kangan Institute Business Enterprise Centre in Essendon, Victoria as part of the NEIS program. The course was a terrific opportunity for me to gain knowledge and learn new skills. The staff and trainers at Kangan are friendly and they made me feel welcome from the very first day. I'm looking forward to growing my new business and trust it can provide the services and products which can satisfy the needs of businesses and the general public. It's obvious to me that Mark Latham is a broken man...struggling to find a positive direction. From what I can see, 60 Minutes is taking advantage of him. My advice to Latham would be to step out of the limelight and find someone to discuss personal issues with. In our society, we often fail our people. I see a bloke who has to take the necessary steps to improve his quality of life. 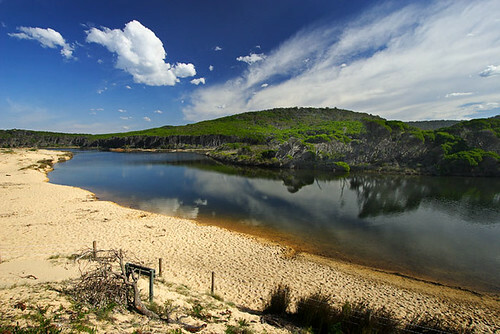 The Sapphire Coast in New South Wales remains a pristine environment. 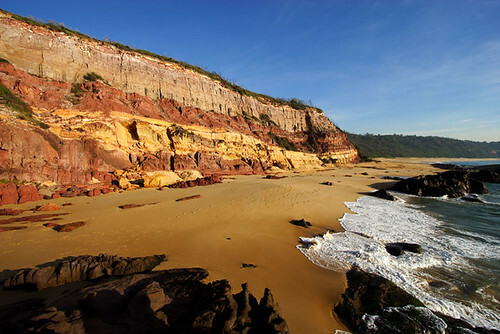 It's a popular holiday region which attracts nature lovers who like to get away from it all and enjoy walking along the beach and exploring some unique natural features. 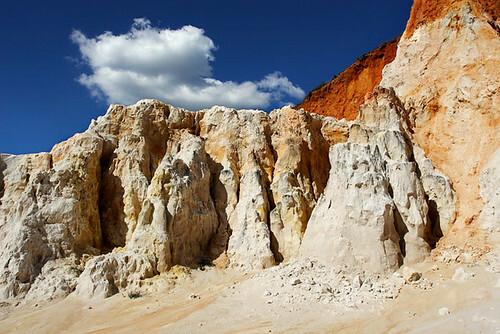 During my most recent trip to the Sapphire Coast, I photographed The Pinnacles in the Ben Boyd National Park, Middle Beach at Merimbula, and Bournda Lagoon in the Bournda National Park. These areas are a great place to unwind and get back to nature. You can license these images or purchase them as photographic print products. Business discounts are available. See Photography information page for full details.